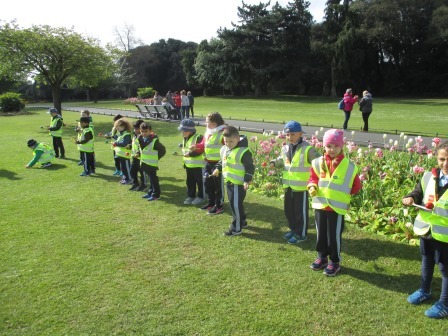 Junior Infants and 5th and 6th Class went on another adventure to the Phoenix Park today, this time following a Maths Trail! 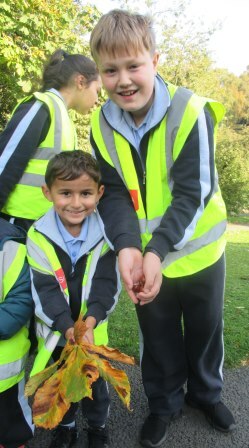 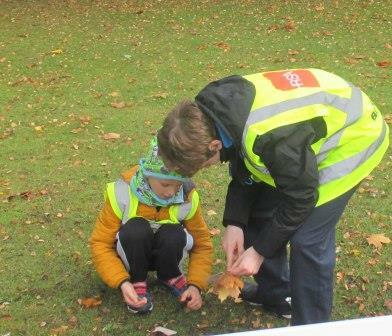 Each group was tasked with finding lots of different items such as 3 pieces of bark, 7 leaves, 9 stones, 5 chestnuts, 12 twigs etc. 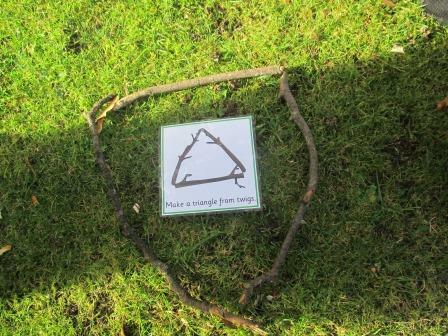 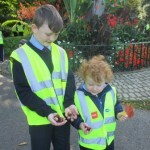 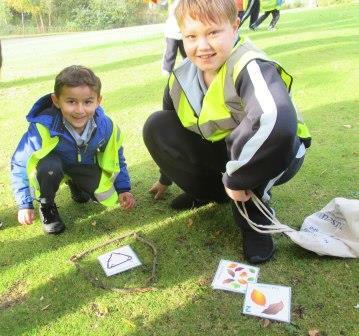 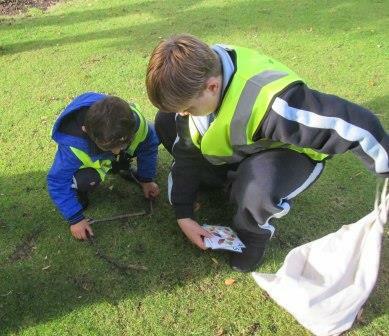 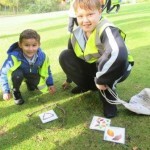 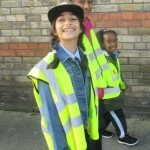 The pupils also had to look out for any circles, triangles and squares in the environment and to make 2D shapes with the twigs and stones they found. 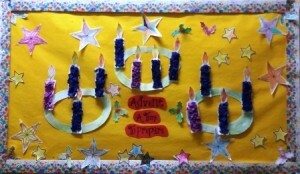 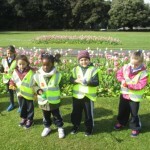 The Junior Infants children were so enthusiastic that we all had a really fantastic time. 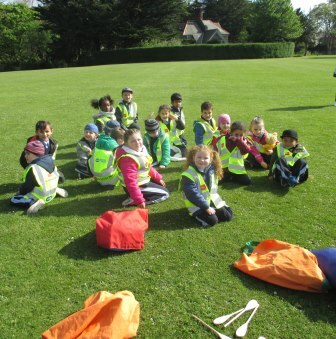 Watch this space for more adventures throughout the year with these classes! 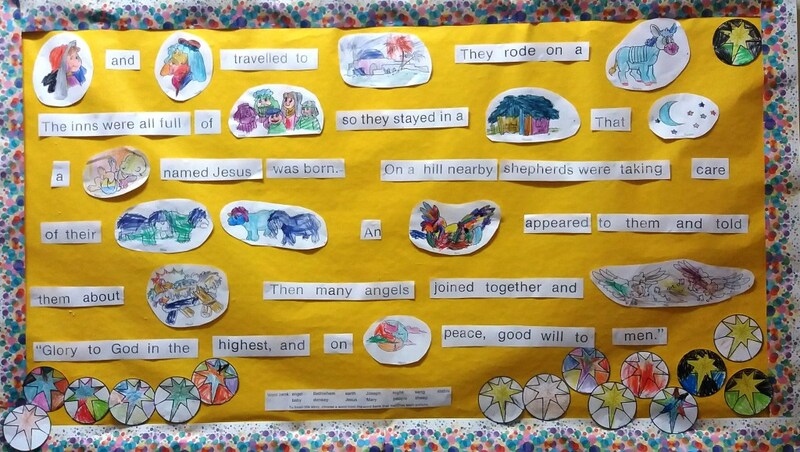 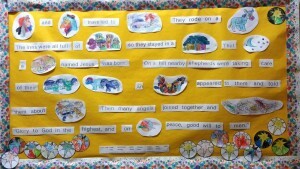 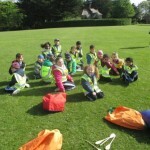 Junior Infants go on an Adventure! 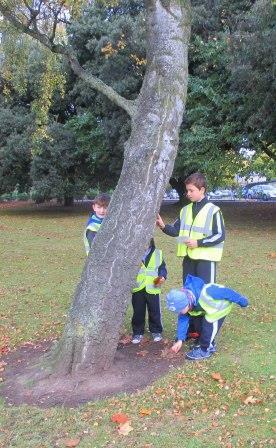 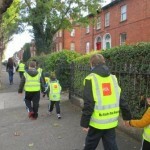 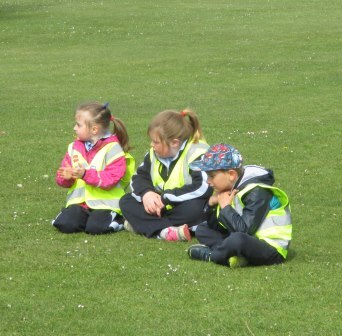 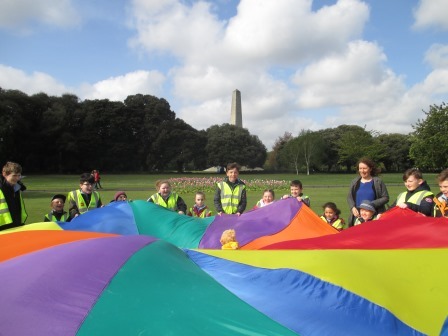 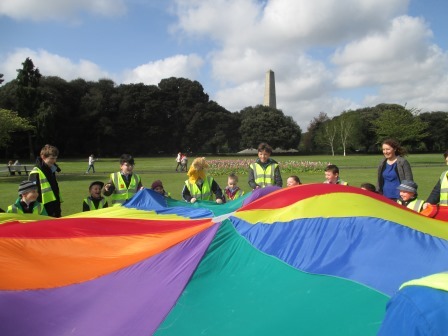 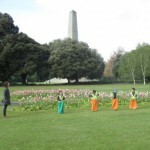 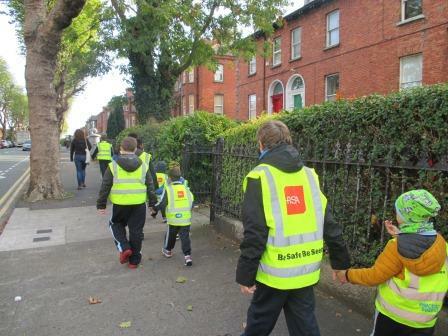 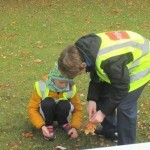 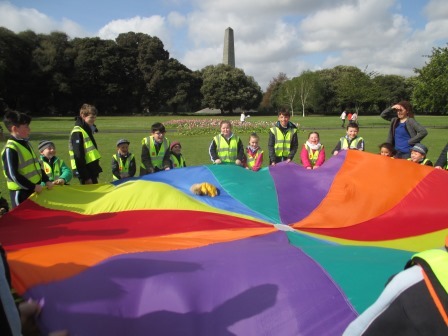 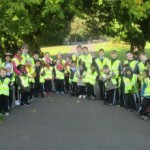 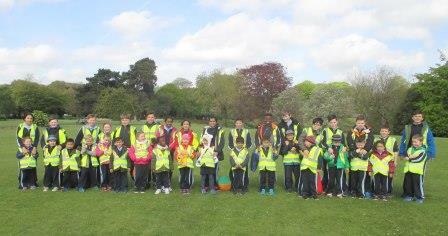 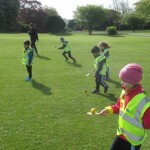 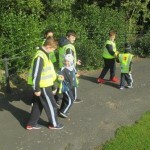 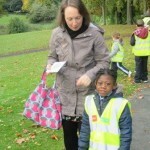 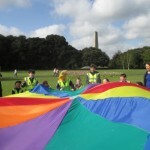 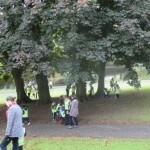 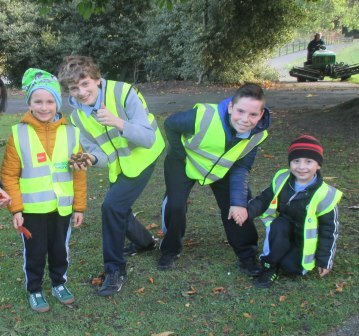 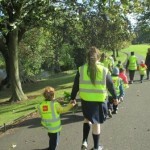 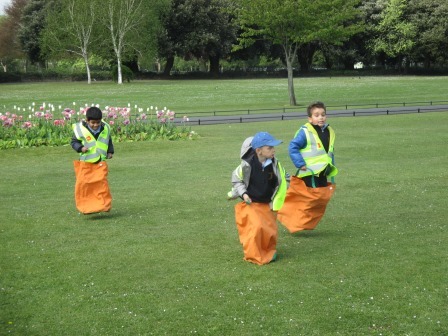 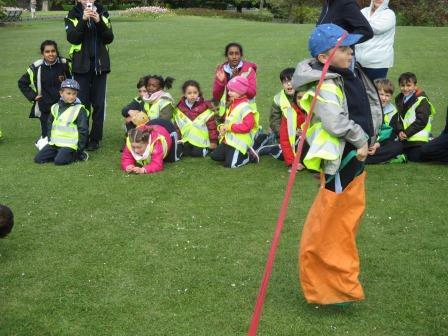 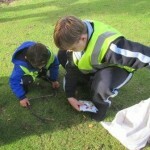 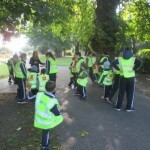 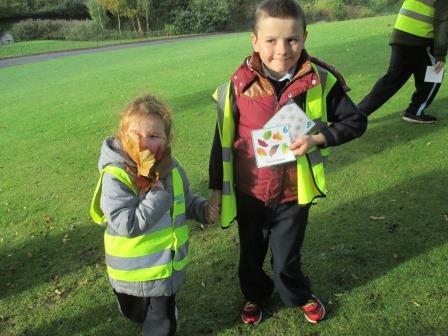 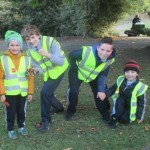 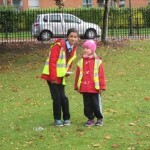 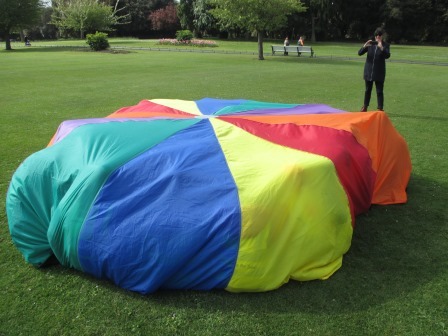 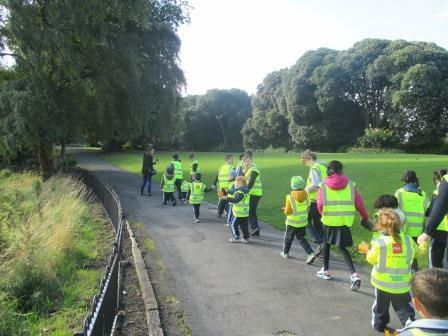 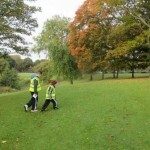 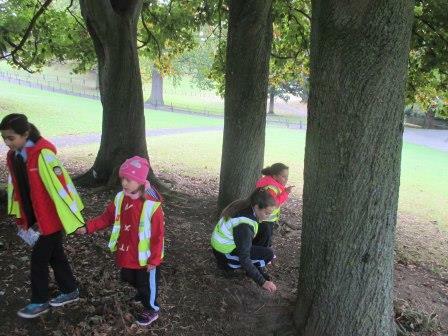 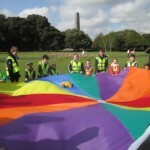 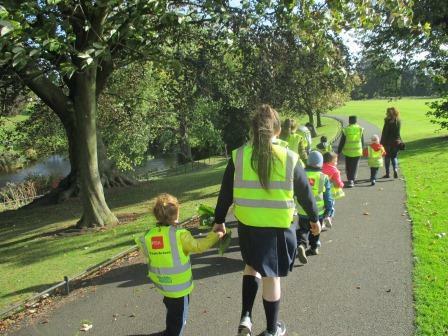 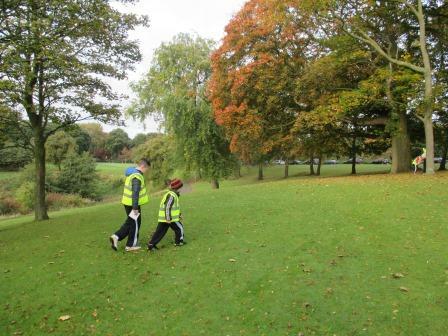 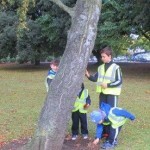 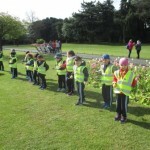 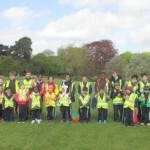 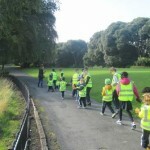 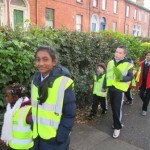 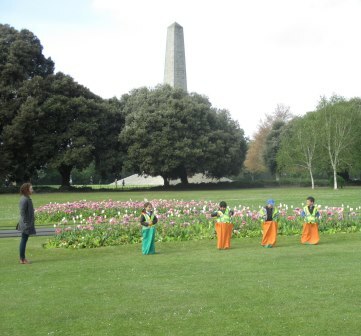 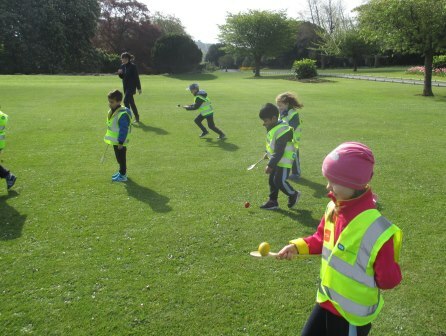 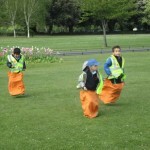 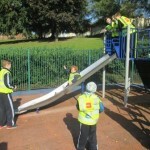 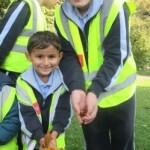 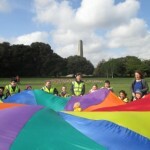 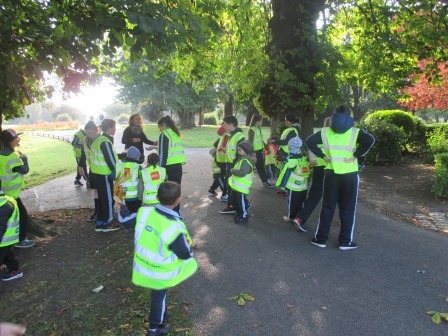 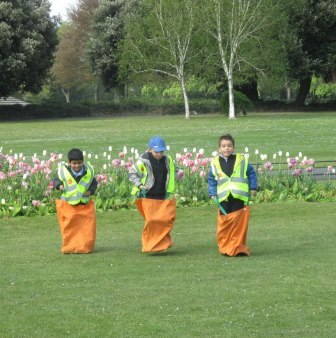 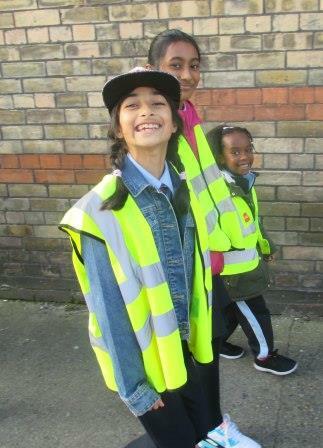 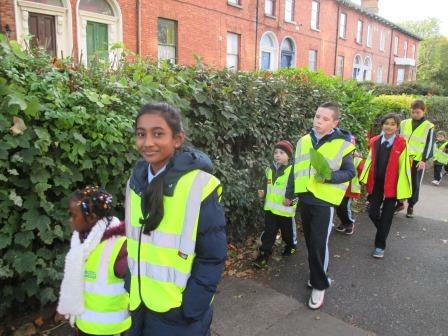 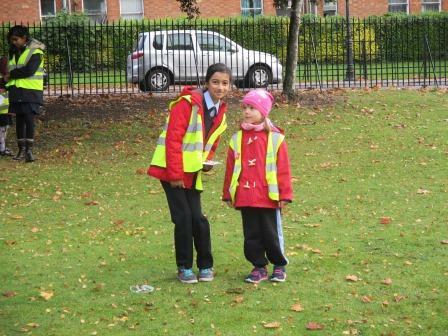 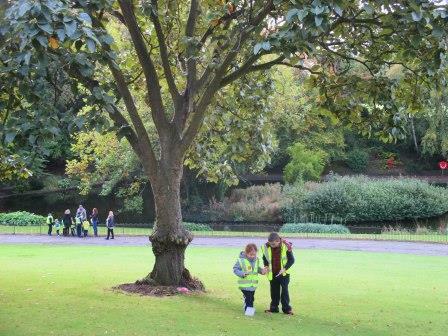 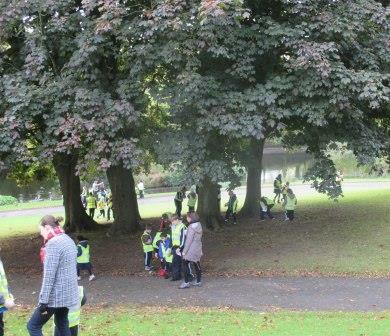 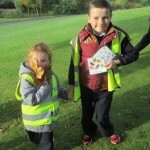 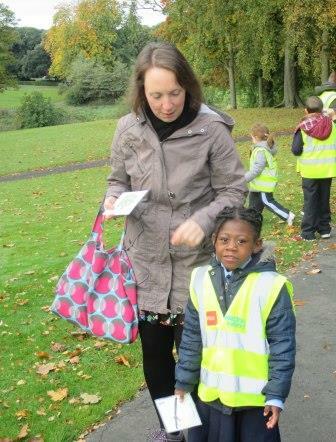 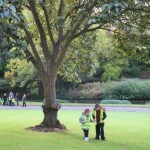 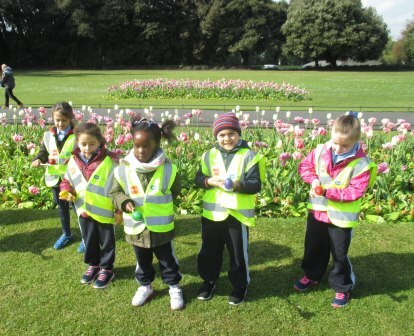 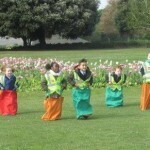 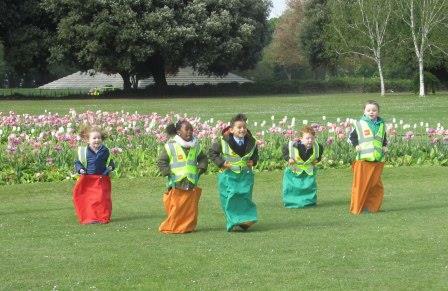 Junior Infants went on an adventure to the Phoenix Park last week with their buddies from 5th and 6th Class. 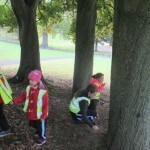 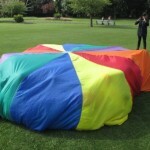 In October, each class is focusing on the strand Outdoor and Adventure Activities in our P.E. 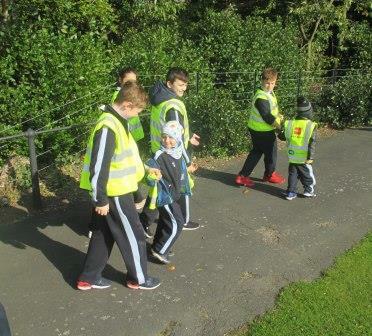 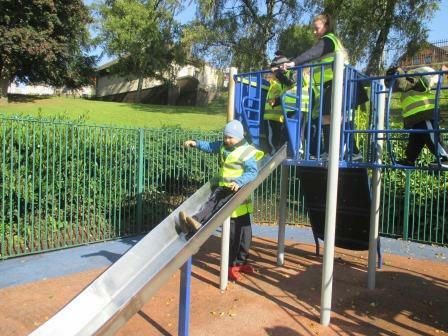 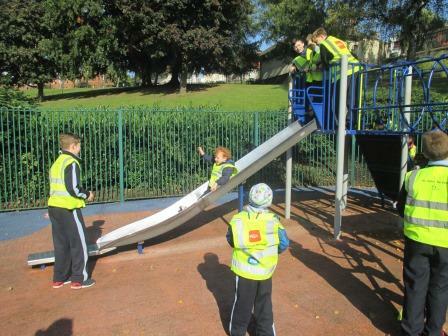 lessons and the pupils from 5th and 6th Class were delighted to be asked to accompany their ‘Buddies’ from Junior Infants to the park. 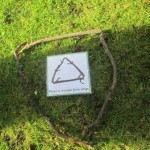 We managed to include some S.E.S.E. 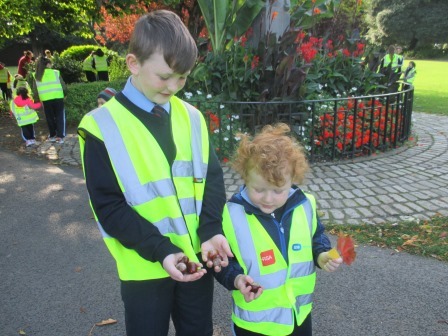 on our trip and discovered lots of different coloured Autumn leaves and chestnuts. 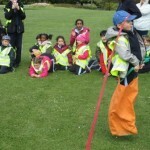 We are all looking forward to doing some more fun activities together during the year!